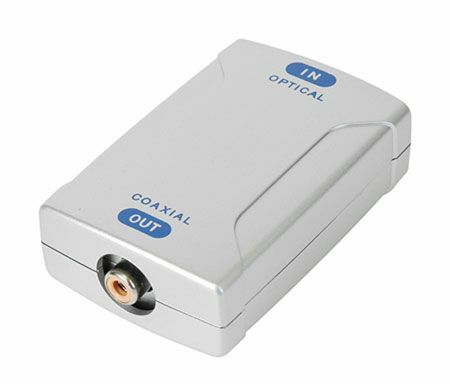 If you need coaxial input but your device only has optical we have a solution for you. With our Optical to Coaxial Converter you can easily convert the signal. Just link the two different cables together with our Toslink Optical to Coaxial Converter. This converter makes it easy. This allows for a simple audio conversion without any loss of sound, or quality of sound. This converter is a great way to get your entertainment system set up, without having to replace your home theater receiver. 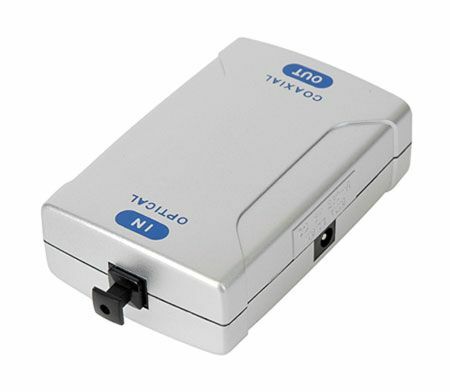 If you have a DVD, Blu-Ray, or other device with an optical output, run the optical cable out of the device, and plug the other end into the converter. From there, run a coaxial cable out of the converter to your Home Theater Receiver that has an coaxial input.